With Apple Leading the Way, Are Mobile Student ID Cards the Future of Campus Identification? Student ID cards have been ubiquitous on college campuses for decades. The thin pieces of PVC are one of the first items students are given when they arrive at school and are essential to the campus experience. Need to get into your dorm room? Use your student ID card. Buying lunch at the dining hall? Student ID card. Finally getting around to dealing with that pile of laundry in the corner? Yup — student ID card. The trusty student ID card has served generations of college students well. It has also evolved with the times, changing from relatively plain cards with little more than a name and photo to today's contactless smart cards that open doors and process payments. While it's admirable that the trusty student ID card has managed to keep pace in today's tech-focused world, it's about to be challenged by what might be the only thing more ubiquitous on the average college campus: the smartphone. A limited-use gimmick or the next big thing? 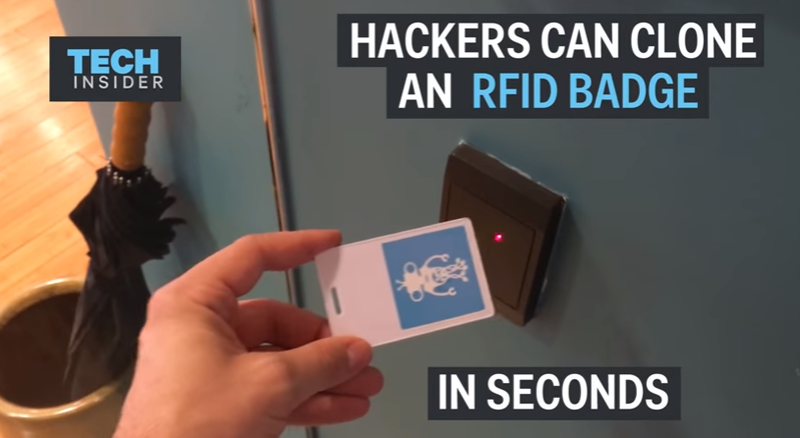 It's a video that should give pause to any organization that uses radio-frequency identification (RFID) cards as employee badges. TechInsider recently posted a video that the company shot with Redteam Security, an online security consulting group, that shows just how easy it is for hackers to not only copy the data on a smart card, but to also copy that data to a new card to create a fully functional clone. If you're an employee whose company uses smart cards for access, the video is a bit troubling. "Huh," you think. "Someone could get into our office like that. That's not good." "That's how easy it is for someone to get access to our building, our computers and our data." Access cards are a great solution for door control. They're easy to use, combining a familiar form factor (the card) with a simple swiping motion to grant access to doors, closets, cabinets and more. In the world of door and access control, cards are king. Access cards have been around for decades, and haven't really changed much: a slot here, a serial number there and maybe a little slimming down. However, while we love our cards, proximity technology has advanced since the early days of the prox card. 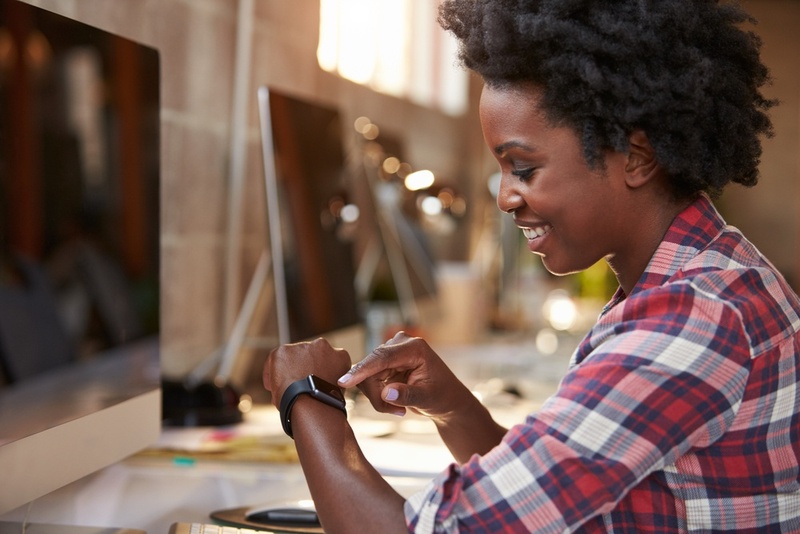 Proximity chips have gotten smaller in both thickness and diameter, enabling manufacturers to do things with the chips that weren't possible 15 or 20 years ago. 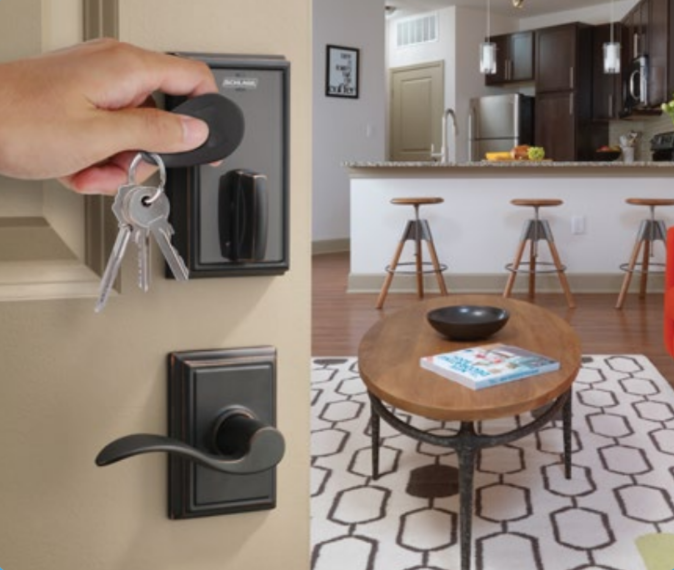 These new options for access and door control provide the best of both worlds, offering familiar proximity technology in a sleek, modern package. So...how can you diversify your door control and access card program? Purchasing a new ID card printer is a big undertaking. 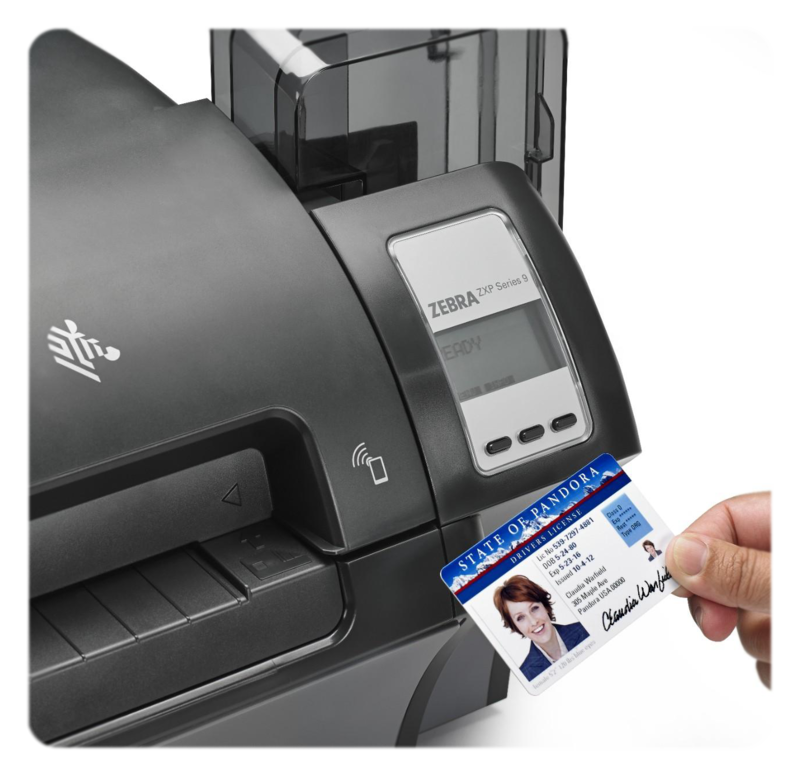 With so many variables to consider, it's easy to see why just thinking about buying a new ID card printer can be overwhelming to some. Think about the number of variables to consider: Magnetic stripe encoding. Lamination stations. Retransfer printing. Dual-sided. Edge-to-edge. Over-the-edge. The list goes on. "I just want to buy one that will work for me," you end up thinking. We get it. An ID card printer is a big investment, and you want to make sure you get it right the first time. It's hard enough to run a seamless badging program; it's near impossible to run one if you're constantly worrying about your printer being the wrong one for the job. With that in mind, we've compiled this list of four essential questions you need to ask yourself when preparing to buy a new ID card printer. These aren't the only variables you need to consider, but the answers to these questions will help narrow down your search and ensure that you land on the right machine for you. When IDenticard® and Allegion® first got together, the reason for the partnership was clear: the two entities wanted to come together to continue to bring disruptive and innovative access control solutions to market. While the two sides have worked together on many projects, the most recent and most robust collaboration involves IDenticard's PremiSys™ access control system and an integration with Allegion's Schlage® wireless locks with ENGAGE™ technology. The integration brought flexible, easy-to-use wireless locks to PremiSys, and brought modern, feature-rich access control software to Allegion's locks. The result has been a beneficial set-up for both organizations, and the two sides recently got together to discuss the partnership, trends in the access control industry and more. Student ID badges are a pretty common sight at schools across the country, whether they're high schools, middle schools or sprawling universities. A student ID badge's main goal is to confirm that the student possessing it is, in fact, an authorized student. 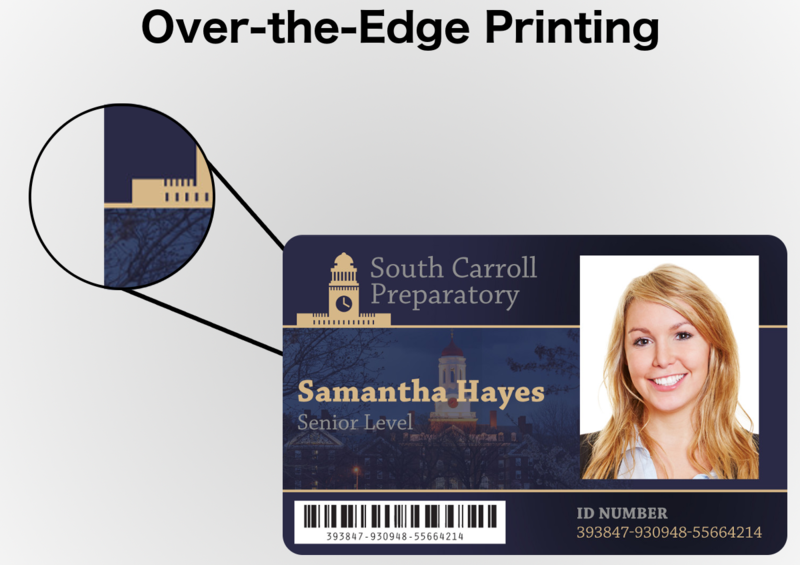 The key elements of a good student ID badge include a clear photo of the student, the student's name printed in large text and maybe some school-themed branding, like school colors or a logo. However, many of today's schools use student ID badges for far more than positive identification. Today's schools, particularly colleges, need a student ID badge that can grant access to the gym, pay for meals at the cafeteria and get a student on the campus shuttle bus. Even today's high schools are getting into using "smart" student ID badges, requiring students to use a card to pay for lunch instead of using cash. With school budgeting season in full swing, you may be looking to update or overhaul your existing student ID badge program. If so, now is a great time to make the switch from a card-based credential system to a far more modern solution: wristbands! Should You Use PVC ID Cards with a Reverse-Transfer Card Printer? Reverse-transfer ID card printers are a great solution for any organization looking to print high-quality, full-color employee badges, bank cards, student ID cards and more. Basically, if you want a professional, sharp-looking credential, a reverse-transer printer is a good choice. These printers, also known as "retransfer" printers for short, use a unique print method that differs from less expensive direct-to-card printers in a key way: with retransfer printers, the printhead never touches the surface of the card. Retransfer printers, like the Zebra® ZXP Series 9 or the Fargo® HDP5600, require a roll of transfer film to print on a card. The printhead prints your imagery and text on the transfer film, which is then applied to the surface of your card and cured with heat for a durable, long-lasting solution. This process is what allows retransfer printers to offer true over-the-edge printing and long-lasting printheads. Unfamiliar with edge-to-edge and over-the-edge printing? Check out our blog post! However, the process also comes with a potential snag, one that can potentially do serious damage to your printer: it's very hard on PVC cards.